Krówki (plural; Krówka singular), literally "little cows," are Polish fudge, semi-soft milk toffee candies. 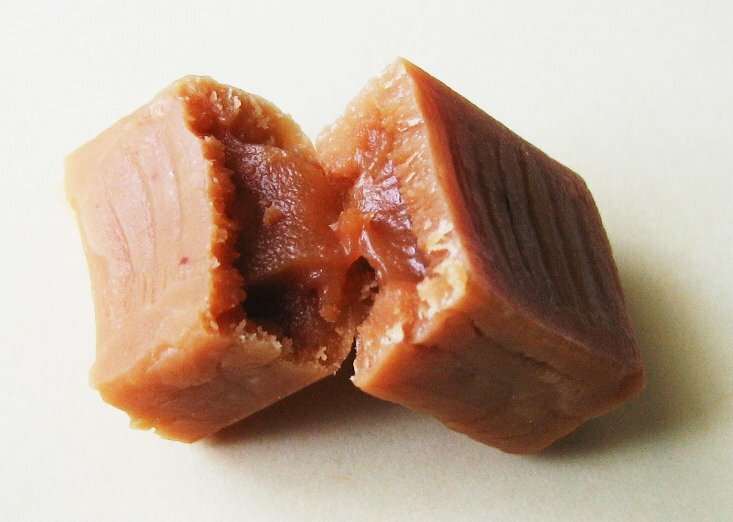 It is one of the most common Polish confectioneries, sold worldwide, and might be considered "Dulce de Leche candy". Commercially, many brands are available; most of them have each individual candy wrapped in white-and-yellow paper with a picture of a Holstein cow. The original recipe usually contains milk, sugar, and sometimes butter, cream and vanilla flavor. There are also chocolate and coffee flavored krówki available, as well as versions made from soy milk for lactose intolerant consumers. Krówki can be prepared at home, using a simple cast iron pan and the above mentioned ingredients.